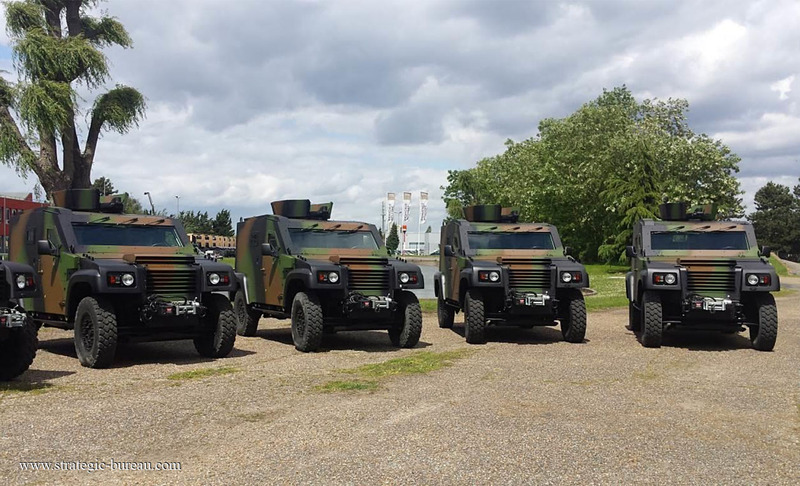 On May 18-21, Panhard General Defense received a delegation from the Romanian Ministry of Defense coming to take delivery of its last batch of six PVP LAORV, Light Armored Vehicle intended for the Romanian Army. The LAORV version specific to the Romania Army offers a number of new developments. In addition to its STANAG level 2 ballistic protection, it provides STANAG level 2A anti-blast protection. The vehicle can be operated in climatic zones varying from -32°C to +50°C. The Romanian Ministry of Defense bought 16 vehicles in 2012, and the purpose of this visit was to take delivery its last batch of 6 PVPs. As the vehicles are subsequently fitted out by the Romanian company CSR for carrying out area and perimeter control missions, they will then be ready to join an international projection force under the auspices of the United Nations or NATO.